We have seen a real surge of interest from universities in real-time labour market information as the more progressive institutions recognise the need to incorporate the requirements of industry. Market Insight teams are working on realigning their existing programmes and designing new ones, tailor made for the needs of employers, using Labour Insight. The Labour Insight database consists of employer advertisements dating back to January 2012 so it is literally written on the language of the employer, providing users with the up-to-the-minute, as well as historical, skills needs of companies, the likes of which is not found within traditional LMI data sources. How strong is the demand? 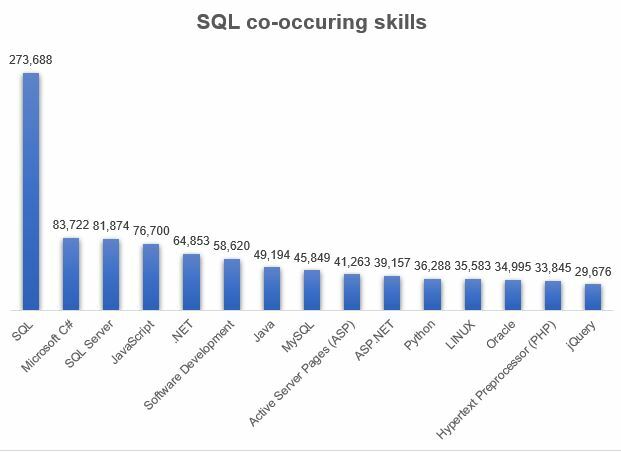 As an example, let’s take a look at SQL, the 11th top skill over the last 12 months for the whole of the UK and number one for IT & Telecoms professionals although it is used in many occupations. 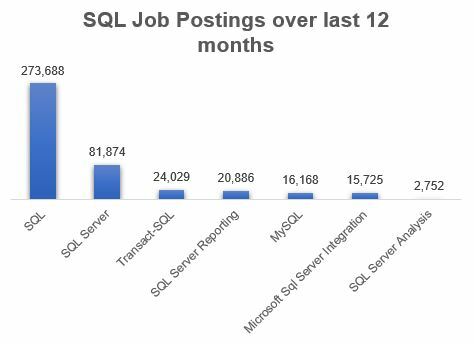 SQL has been listed as a skill in 274,000 online job ads, followed by SQL server on 82,000 occasions during this period. How does this compare with the historical demand? The chart below shows the demand for the 7 SQL skills shown in Fig. 1 with IT & Telecoms job counts by quarter, since Q1 2015. The job counts by quarter report allows universities to see how consistent the demand has been for a particular job, occupation or skill by quarter since 2012. 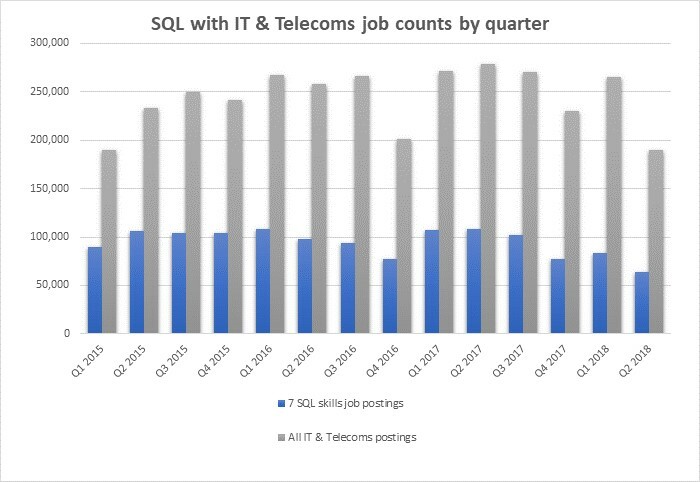 These SQL skills have remained constantly above 32% when compared with the overall number of (SOC 213) IT & Telecoms postings. This information allows universities to quickly gauge when the demand for a particular skill is in decline when painted on the backdrop of the overall demand for an occupation that utilises that skill. Monitoring changes over time gives universities the tools they need to keep their programmes relevant and inline with the needs of employers. Please note that these results reflect point-in-time data and are subject to change as improvements are made to our aggregation and reporting methodologies. What opportunities will be open for graduates with this skill? 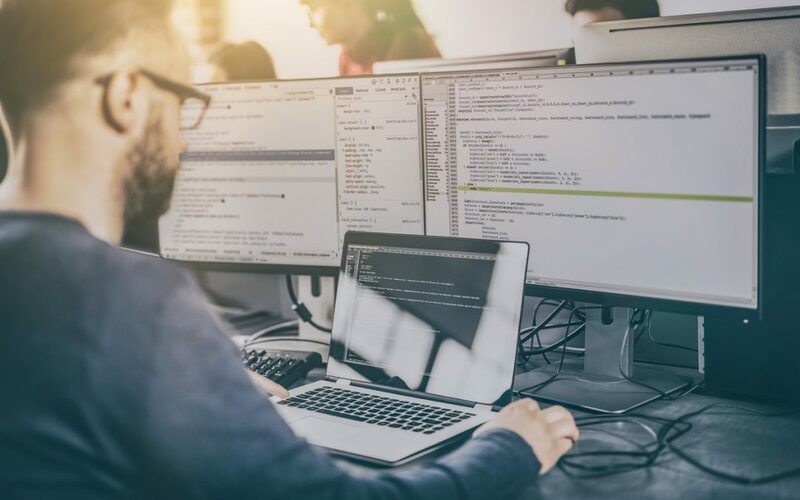 SQL isn’t limited to just programmers and software developers, it opens the door to many occupations providing a solid foundation and many future options. Fig. 3 below shows the 8 top occupations that list SQL as a skill. Risk of automation is a concern for those planning and investing in their future career. We live in a world where there is a constant need to upskill to remain relevant and attractive to employers. Choosing the right skills at the start of your career is essential to its longevity. Universities are able to factor in this information when planning and developing their programmes. Fig. 3 below shows that 6 of the 8 top occupations using SQL as a skill have a low risk of automation. IT user support technicians and Finance & investment analysts have a medium score meaning that some of the skills associated with this occupation have a medium risk of automation over the next 20 years. Skills don’t exist in a vacuum, especially in IT, so what are the other skills that employers requested in ads when SQL was mentioned? This is essential information when adapting and creating complete university programmes to fully meet the needs of the employer. These are just a small number of the reports available in Labour Insight that really allow users to drill down and understand in detail the changing needs of the labour market. We are eagerly awaiting the next addition to the Labour Insight report library – skills projections. We will keep you updated on developments. Thanks Catherine – very interesting piece. When do you expect to have the new Skills Projection feature?